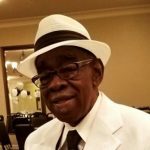 Mr. William “Billy” Coker, Jr., age 77, passed away Monday, March 11, 2019 in Atmore, Ala. He was a native of Huxford, Ala. and had resided in Atmore, Ala. for most of his life. He was of the Baptist Faith. He was preceded in death by his wife of fort y-nine years, Anita Mason Coker; parents, William E. and Jessie Coker; one brother, Elbert Coker and two sisters, Evelyn Thurman and Bobbie Stallworth. Mr. Coker is survived by his two sons, Rodney (Sharon) Coker of Atmore and Billy Joe (Elyssa) Coker of Largo, Fla.; two daughters, Deana Coker (Joseph Hubbird) of Nokomis, Fla. and Brenda Coker of Atmore; two brothers, George Coker of Dothan, Ala. and Jimmy (Suzie) Coker of Atmore; three sisters, Millie Purvis, Peggy (JC) Moye, all of Atmore and Faye (Mike) Morris of Molino, Fla.; six grandchildren, Connie Colbert Bartlett, Dustin Colbert, Jordan Coker, Dylan Coker, Madison Coker and Ellison Lee and numerous nieces, nephews, other relatives and many friends. Funeral services were held Sunday, March 17, 2019 at 2 p.m. at Petty-Eastside Chapel Funeral Home with Minister Maurice Square officiating. Burial followed at Oak Hill Cemetery. The family received friends Saturday, March 16, 2019 from 6 to 8 p.m. at Petty-Eastside Chapel Funeral Home. Pallbearers were Johnny Colbert, Danny Gorum, Kevin Faircloth, Isiah Carter, Travis Bartlett and Brett Gorum. Honorary pallbearer were Byron Von. Mr. Stephen Ray Wilson, age 70, passed away Tuesday, March 12, 2019 in Fairhope, Ala. He was a native of Stockton, Ala., former resident Atmore, Ala. and Lewisville, Alaska (16 years) and resided in Bay Minette, Ala. He was former co/owner of HML Inc. of Rocksprings, Texas and a veteran of the Korean Conflict serving with the U.S. Army. He was of the Baptist faith. He was preceded in death by his parents, Johnnie and Druie Wilson and brother, Tommie Wilson. Mr. Wilson is survived by one son, Lucas (Julia) Wilson of Sayre, Penn. ; one daughter, Amy Brooke Wilson (Shane Humphreys) of Hot Springs, Ark. ; one brother, Johnnie Wilson of Bay Minette, Ala.; five grandchildren, Justin, Raylee, Taylor, Matthew and Jeffrey; one great- grandchild, Anastasia; special friend, Teresa Sweeten and other family and many friends. Graveside services were held Saturday, March 16, 2019 at 11:30 a.m. at Hollingsworth Cemetery with Minister Chester Richardson officiating. The family received friends Saturday, March 16, 2019 from 10 until 11 a.m. at Petty-Eastside Chapel Funeral Home. Pallbearers were Jeff Wilson, Matt Wilson, Justin Winger, Shane Humpreys, Rodney Winger and Wayne Lee. Mr. Andrew J. “A.J.” Hudson, age 86, of Oak Grove, Fla., passed away Thursday, March 14, 2019 in Oak Grove. He was born in Crestview, Fla. to the late Rev. R.F. and Helen Hill Hudson. He attended Walnut Hill Baptist Church. He served in the United States Navy. He was a brick mason and owned Hudson Masonry Company for many years. He was a kind, soft-spoken, compassionate man, with the heart of a servant. He loved fishing, hunting, traveling our country in his motorhome with his wife, Ernestine and serving his neighbors and relatives. Most of all he loved our Savior Jesus Christ who he shared with many people. He was preceded in death by his parents and stepmother Mary Alice Hudson, siblings; Robert Hudson, Junior Hudson, Billy Ray Hudson, Ouida Leader and Inez Chavis. Mr. Hudson is survived by his wife of sixty-four years, Ernestine Milstead Hudson of Oak Grove; three sons, Paul (Linda) Hudson and Edward (Sharon) Hudson, all of Oak Grove and Robert Hudson of Pensacola, Fla.; grandchildren, Kim (Jamie) Brown, Joshua (Deanna) Hudson, Brandy (Steven) White, Neil (Phuong) Hudson, Ashley Hudson and eight great-grandchildren. Funeral services were held Monday, March 18, 2019 at 2 p.m. from Johnson-Quimby Funeral Home Chapel with Bro. Ted Bridges officiating. Interment followed in Oak Grove Baptist Church Cemetery. Active pallbearers were Steven White, Jamie Brown, Joshua Hudson, Neil Hudson, Ryan Hudson and Robert Milstead. The family received friends Monday, March 18, 2019 from 1 p.m. until service time at 2 p.m. from Johnson-Quimby Funeral Home. In lieu of flowers donations may be made to Regency Hospice, 50 Beverly Parkway, Suite 200, Pensacola, Fla. 32505. Mr. Byron Delbert Tims, age 91, of Walnut Hill, Fla., passed away Saturday, February 23, 2019 in Atmore, Ala. He was employed at Fred’s in retail sales. He was born in Riderwood, Ala. to the late Odie Mancel and Rilla Ruller Tims. He served in the U. S. Army. He was preceded in death by his parents; wife, Vernell Kimbro Tims; grandson, Randall Helton and sister, Almogene Culpepper. Mr. Tims is survived by two sons, Dale Tims of Virginia Beach, Va. And Clark (Debra) Tims of Robertsdale, Ala.; one daughter, Michelle Helton of Oak Grove, Fla.; seven grandchildren and ten great-grandchildren. A memorial service was held Saturday, March 23, 2019 at 11 a.m. from Oak Grove Baptist Church with Bro. Butch Brown officiating. Mr. Raymond O’Neal Cumbie, age 84, passed away Thursday, March 14, 2019 in Mobile, Ala. He was a native and life-long resident of Little River, Ala. He was a member of the International Iron Worker’s Association #798; the Teamsters Union #991. 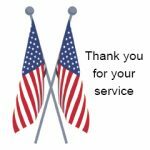 He was a member of Little River Baptist Church; served on the Board of Director’s at the Mamie’s Chapel Cemetery and was a veteran of the Korean War, serving with U.S. Army and the U.S. Navy. He was preceded in death by his parents, Edward and Ethel Cumbie and two brothers, Winston Cumbie and Willard Cumbie. Mr. Cumbie is survived by one daughter, Deborah (Larry) Kiper of Little River; one brother, Harold Cumbie of Uriah, Ala.; two sisters, Betty (Leroy) Boone of Little River, AL and Mary Boone of Little River, AL; one grandchild, Jeremy (Nicole) Boone of San Diego, CA; two great grandchildren, Avery Boone and Miles Boone of San Diego, CA and numerous nieces, nephews, other relatives and many friends. Funeral services will be held Tuesday, March 19, 2019 at 3 p.m. at the Little River Baptist Church with Bro. Cornelius Phillips officiating. Burial will follow at Mamie’s Chapel Cemetery. The family will receive friends Tuesday, March 19, 2019 from 2 until service time at 3 p.m. at Little River Baptist Church. Mrs. Ellen Earnestine McKinley Holder, age 83, of Huntsville, Ala., passed away Friday, March 15, 2019. She was born in Excel, Ala. As a young women she worked as a telephone operator. She was loved and embraced by friends from all walks of life from doctors to NASA engineers to farmers. Her Sunday dinners flowed with southern dishes from their vegetable garden, accompanied occasionally with fresh boiled peanuts, and at least two desserts prepared from scratch. Up until she passed, she was a daily angel to her friends, getting them to medical and beauty appointments or visiting when they couldn’t get out. She was preceded in death by her husband, John W. Holder. Mrs. Holder is survived by her sister, Shirley (James) McGee; daughter, Betty (Chandler) Hall; son, John (Tamara) Holder Jr. of Covington, Ga.; grandchildren, Whitney Newsom, Noelle Holder, and Katherine Hall; many nieces, nephews and friends. The family will receive friends Wednesday, March 20, 2019 from 5 to 7 p.m. at Laughlin Service Funeral Home. Funeral services will be held Friday, March 22, 2019 at 2 p.m. at Johnson-Quimby Funeral Home in Atmore, Ala. with viewing at 12 p.m. Burial will follow at Uriah Cemetery in Uriah, Ala. In lieu of flowers, memorials may be made to Trinity United Methodist Church Building Fund. Laughlin Service Funeral Home, Huntsville and Johnson-Quimby Funeral Home, Atmore in charge of all arrangements. Mrs. Lou Ada Berry Henderson, age 93, of Atmore, Ala., passed away Sunday, March 17, 2019 in Atmore. She was born in Ariton, Ala. to the late Porter and Lettie Bell Thompson. She was a member of Oak Grove Church of Christ. She was a retired supervisor from Vanity Fair. She was preceded in death by her parents; first husband, Casey Berry and second husband, Fred Henderson; granddaughter, Nelline Still; a brother, Royce Thompson; a sister, Catherine Renfro; step-son, Lamar Henderson and step-daughter, Brenda Williams. Mrs. Henderson is survived by her son, Ronnie (Brenda) Berry of Bratt, Fla.; daughters, Ronell (David) Garrett of Walnut Hill, Fla., Rita (Marvin) Sanders and Donna Hadley, all of Bratt, Fla.; step-sisters, Annie Ruth Flagan, Gwinnette Berry and Sally Carmichael; ten grandchildren and numerous great-grandchildren. Funeral services will be held Tuesday, March 19, 2019 at 3 p.m. from Johnson-Quimby Funeral Home Chapel with Bro. Brad Sullivan and Bro. Billy Randolph officiating. Interment will follow in Oak Hill Cemetery. Active pallbearers will be Tony Hadley, Nicky Hadley, Casey Berry, Jason Berry, Matthew Berry, and Darin Garrett. The family will receive friends Tuesday, March 19, 2019 from 2 until service time at 3 p.m.
Johnson-Quimby Funeral Home, Inc in charge of all arrangements. Century, Fla. He was a local football coach and teacher. He was born in Booneville, Ala.
to the late Harry and Annie Clyde Still Akins. He was a member of Booneville Baptist Church. He was a Mason and a member of Huxford Lodge. 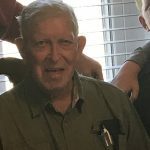 Mr. Akins is survived by one daughter, Leighannah Akins of Toledo, Ohio; two brothers, Bruce Akins of Booneville, Clarence (Bobbie) Akins of Robertsdale, Ala.; one sister, Peggy Helton of Milton, Fla.
Funeral services will be held Thursday, March 21, 2019 at 11 a.m. from Booneville Baptist Church with Bro. Jesse Wood and Bro. David Atchison officiating. Interment will follow in Booneville Baptist Cemetery. Active pallbearers will be Harry Akins, Mickey Akins, Andy Akins, Medor Akins, John Akins, Joe Helton, Tim Akins and Daniel Akins. The family will receive friends Thursday, March 21, 2019 from 10 a.m. until service time at 11 a.m.at Booneville Baptist Church. Mr. David Ephraim, age 78, of Atmore, Ala., passed away Monday, March 11, 2019 at the home of his daughter. He was a native of Camden, Ala. (Wilcox Co.) and a longtime resident of Atmore. He attended Escambia County Training School and had worked at Masland Carpet as a Piece Dye Operator until he retired. In his leisure, he loved fishing, dancing, music, and working on cars (mechanic). He was preceded in death by his parents, Ned and Ella Ephraim and other family members. Mr. Ephraim is survived by his wife, Rosie Ephraim of Atmore; three daughters, La’Twinda (Edwin) Jackson of Waukegan, Ill., Timeko Ephraim and Shelia Ephraim, both of Atmore; five sons, David Ephraim, Jr. of Atlanta, Ga., Darren (Shirley) Ephraim of Inman, S.C., David (Tiffany) Watts and Steve Brooks, both of Montgomery, Ala. and Vincent Brooks of Miami, Fla.; a host of grandchildren and great-grandchildren, nieces, nephews, cousins, and friends. Funeral services will be held Saturday, March 23, 2019 at noon at Pleasant Hill Full Gospel Church – Hwy 21, Atmore with Rev. Freddie D. Banks, Pastor, officiating. Interment will follow in Fairview Cemetery. The family will receive friends Friday, March 22, 2019 from 2 – 7 p.m. at the funeral home. His body will lie in repose at the church for one hour prior to the funeral service. Turner Funeral Chapel, LLC in charge of all arrangements. Ms. Katie Lee Rudolph, age 76, of Atmore, Ala., passed away Tuesday, March 19, 2019 at the home of her sister. Funeral arrangements are incomplete at this time but will be announced later by Turner Funeral Home. Ms. Sherece Carter Green, age 40, of Bay Minette, Ala., passed away Thursday, March 14, 2019 at her home. Funeral services will be held Saturday, March 23, 2019 at 11 a.m. at New Jerusalem Church. Burial will follow at Sunrise Memorial Cemetery, Bay Minette. Christian Memorial Funeral Home in charge of all arrangement. Mr. Keith German, age 5l, of Evergreen, Ala., passed away Tuesday, March 12, 2019 at Mobile Infirmary. Funeral services were held Tuesday, March 19, 2019 at 11 a.m. at the Church of Living God.